I may be in the minority, but I really want the Bulls to take Mikal Bridges. I just have this feeling he's going to be a really good player -- maybe not 25 or 30 points a game, but I think he could get to the low 20s and play really good D, kind of Scottie Pippen-like. Why aren't more people talking about him rather than Michael Porter? Kris Dunn and Zach Levine will be the shot creators -- Bridges can spot up, come off picks. Too much risk with Porter, and Trae Young too small and no D. I would be disappointed if we took Carter also with #7. Sam: It's not so much that No. 7 is too high for him because that becomes the ridiculous argument. There is no way of rating players in exact slots that fit for 30 different groups of evaluators. It's the herd mentality of the draft, sort of the Mel Brooks Blazing Saddles, "Gentlemen, we have to save our phony baloney jobs." If everyone has about the same list then if they are wrong they can tell the owner no one else had it, either. I think Bridges will be good, but he's more a catch and shoot and defender, which is good for the Bulls. It's just that from a small forward/wing player, the Bulls need someone to finish better than he does, put the ball on the floor and make plays. Id be OK with him, though, since he does fit with the players they have. I won't be disappointed with Carter because I think he fills a nice need to play with Markkanen. He's the kind of player who will feature Markkanen, which the Bulls need more of, and will do the dirty work, make a shot, compete hard. The more I've heard around the league, I've grown more comfortable with Carter as, no, not a potential star, but a really good player to move forward with while not eliminating quite yet the ability of one of the players from the trade last year to have starring ability. Am I the only one the wants the Bulls to chase Kevin Knox this draft? He's a long athletic do it all forward with a lot of potential. I don't want Carter Jr. Can't move his feet on defense and does not have quick moves on offense. Modern offense does not allow you to hold on to the ball and take your time. Sam: Oh, no, another no for Carter Jr.? Will even the Knicks fans boo that pick at the draft if the Bulls take him? Knox is my sleeper/reach for the Bulls, though as I've said, taking a player who the TV people have four places lower is not a reach. You just have to tune down the sound after your pick. Knox seems to have grown on NBA people lately, which also is the silly season of the draft with basically nothing happening and players getting better without having played a game or practiced against anyone. Though we see it in those football mock drafts that go on for almost three months. I've suggested there's some Pippen in Knox the way he looks with that languid play, the long arms and a better shooting stroke that Pippen had. Plus, he's so young. Again, with a lot of these players because they are so young the problem is whether they have that competitive gene, which you cannot really see with freshmen. The only certain in this draft appears to be the 1 pick and Chandler Hutchinson at 22 . Hah. Who do you think is most likely at number 7? Who do hope it is? Who do you hope it is not? Sam: It does seem everyone believes the supposed promise of Hutchison at No. 22, though he also seems to fit, especially if the Bulls take a big man at No. 7, which seems highly possible. By the way, no 'n' in Hutchison, which I've seen spelled incorrectly in many mock drafts. I had it wrong to start, also. We'll have to practice if the Bulls take him. There's obviously a lot of uncertainty especially after the supposed top four of Ayton, Bagley, Doncic and Jackson. Some say five with Bamba. Duke's Wendell Carter Jr. seems to make a lot of sense for the Bulls at No. 7. He fits, has the work ethic and strong character, fills a need and doesn't seem capable of failure. I don't really hope for anyone as I can make a good case for Bamba, Young, Knox and Bridges for the Bulls. And, yes, Porter, too. I'd be OK with Porter as that high ceiling risk guy, though the Bulls usually don't go that way with the health questions. That makes it seem like so much potential downside. And then there's the style of play. Can the Bulls handle yet another ball dominant player? Is he that much better than LaVine and Markkanen? Hand him the offense to start? With basically no one seeing him since high school? If I'm at 10, 11, 12, its easy to take a chance with Porter. An ESPN mock draft recently had Porter at 15, though lately the rumors have him more four through eight. Some doubt Young, the other risk/reward guy. I don't see him as a failure with his offensive abilities, shooting range, passing and aggression. Scoring still is good in the NBA. Who do you think the best three picks for the Bulls would be at 7? Guys that might actually be there with no deal? My personal top 3 goes Mo Bamba, Trae Young, Kevin Knox. Three totally different players and three totally different positions, I know. But the through-line to me with each is they have a chance to be special. And at 7, and after a year of tanking (outside of the Mirotic MVP run), you need to reach for the highest rung of the ladder. The optics with fans alone near demands it. 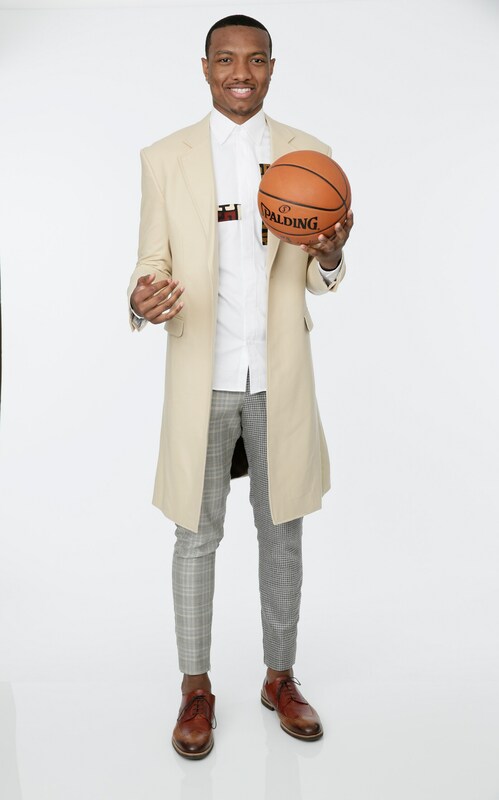 And while I love Lauri's game and the future is yet to be written on their current Sort-Of-Big 3 (+Dunn and Lavine), I doubt anyone inside or out of the organization is certain we have a potential future MVP on the roster. Sam: If you're looking future MVP, I don't see that in Bamba, Young or Knox, though with Carter I think that's a reasonable top four players for the Bulls, if no MVP. Of course, did anyone think Dirk would be an MVP? Someone can emerge depending on circumstances of a team, and he didn't have much athletic ability. Of course, now that I think about it neither did Steve Nash or Steph Curry. Or Larry Bird, actually. The big question with Bulls fans will be the divide between Porter Jr. and those guys. Porter Jr. supposedly projects as that possible MVP type, though he seems to lack the all around playmaking interest, if not skills. I think Bamba goes earlier, but if he's there I think he tops that list for the Bulls. My guess is they go Carter Jr. before Young and Knox. But while it may not be possible to trade up for players like Bagley and Doncic, it might not take quite as much for a player like Bamba, who mostly has floated between five and eight in this draft. That would be a possibility. If you are MP Jr., why wouldn't you just forego the draft this year, play college a year, make a statement about your skills, then prove doubters wrong? This is a big gamble not just for the teams but also for him. If he mess up his rookie and sophomore season, it would be difficult to ask for a higher pay grade. Sam: That's a reasonable point, and many more players shorten their careers by coming out of college too soon and being put in positions where they don't have a chance to develop and are given up on. What kind of career might Tim Duncan have had if he came out after his freshman year when he averaged 9.8 points and 9.6 rebounds? Maybe he gets locked in as a role player. Porter Jr. figures to be top 10, so the conventional wisdom is that's worth the risk to come out. Though I also wonder if it may be because he fears being hurt again and wants to at least grab $20 million for now. I wouldn't dissuade him from that. I'd do that as well. The stage is set, unwittingly or otherwise, for GarPax to take advantage of the Bulls assets. They have draft picks, cap space, low expectations and a sold out stadium. And, they have a core to build from. Except, LaVine. Have you ever asked yourself, "What Would LeBron Do?". That is to say, does LaVine have the mental fitness to be a champion? If not, see if you can send him to Memphis with the #7 to trade up to the #4. 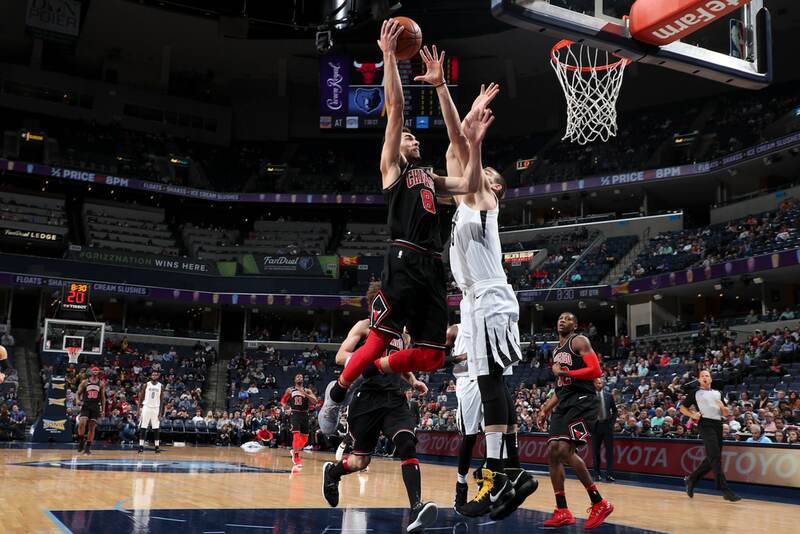 Memphis needs performers to fill their stadium and LaVine can amaze. I think he would fit with Conley and M. Gasol and with the #7 they may be able to get Trae Young. Sam: Why so down on Zach? I've gotten a few of these lately, though I don't really understand. The guy had some amazing games, especially in that Minnesota win in February when he cleaned Jimmy's clock down the stretch. He only came back from ACL surgery in January and then—wink, wink—had to sit some with knee soreness late. You'd be making a huge mistake to give up on LaVine so soon, I'd say. Perhaps he's not LeBron, but when you find LeBron on another roster in the East, let me know. No one in this draft, to me, is worth giving up a starter to move up three spots. No one does that. Though the belief around the NBA lately is you can get Luka Doncic at No. 4. Many—though more fans than NBA scouts—project him as a superstar. Everyone is targeting Memphis for the potential move up in the draft since they obviously want to move Chandler Parsons' $50 million over the next two years. It's a lot of money to absorb and takes you out of free agency, so you better get someone you really want because you are putting yourself out of future moves doing something like that. Usually to take that kind of salary, a team has to throw in its pick. With Memphis so dependent on attendance in the small market, I don't know if they'd like to explain giving up more talent. Though they talk about competing with Conley and Gasol, they probably should be trying to trade both and use the pick to start coming back with a young team. If they do want to compete and you really want, say, Doncic, or Bamba, or maybe Jaren Jackson if he falls, would Memphis take No. 7 plus one of your rotation reserves? The Bulls have a few. Would that be worth it? Would Memphis do that since you're still getting a good player at No. 7? It's something to watch. Though I suspect many teams are calling Memphis. There have been rumors the Hawks at No. 3 like Trae Young. Could you get to No. 3 and maybe Marvin Bagley III, whom I like as the 1a pick in this draft? Trade No. 7 if Young is still available for Atlanta (though Orlando could take him at No. 6) and one of your rotation players and No. 22? Atlanta needs players. I'd do that, though I also think Atlanta just takes the best talent and stays at No. 3. I do think the Bulls are trying to use those so called assets, but they're still mostly young, unproven players. Remember, the Bulls still could help Magic clear room for LeBron and take one of those good, young Lakers players. Maybe you wouldn't want to blow all your cap space if you still have a chance for that in July. The obvious question about Porter is the injury risk. If you were guaranteed that he would have a career like that of Branden Roy, how high would you draft Porter? Roy was a true star for a few years. Is that enough to spend a high pick? Sam: Roy at the draft had the red flag warnings for the knee, but then became Rookie of the Year and a three-time All-Star. The Trailblazers looked very smart, and then after four seasons he was about done. I don't believe Porter's health issue is considered quite as dangerous. But after the Bulls looked so great with Derrick Rose after four seasons things went bad physically and the community didn't deal with it very well. If the Bulls believed Porter was a question mark by 25, I'd guess they'd pass. I have been a Bulls fan my whole life. I started watching when we drafted Derrick Rose. I've watched every single game and I have not missed one ever. Do you think getting Michael Porter Jr is a good step for the direction that the Bulls are in? Sam: It remains the biggest question for Thursday. There have been rumors the last few days he could be selected as high as No. 2 to Sacramento. I don't believe that, although it's easy to joke about Sacramento again doing something wild. Of course, it's perhaps not a bad idea if he's healthy and the player everyone projected a year ago. That's what makes this so difficult. I'd say he first comes into strong consideration with Dallas at No. 5 and could go there because Mark Cuban sees himself as a risk taker. It's served Cuban well making a fortune from nothing. If he's there at No. 7, I think it becomes a really, really, really hard decision for the Bulls. And then one that will be thrown in their face every day if Porter is good and they pass. So in conclusion as I drift all over the place, I'd probably pass on Porter. I think he could be really good, but not transcendent great. Not worth the potential downside to me, a conservative liberal. The Bulls have done OK at #7. Mostly good players like Kirk & Luol, one bust (Q), and – stay tuned - maybe one star in Lauri. The strangest thing is that whenever they've had two 1st round picks, the 2nd one turned out to be better than the 1st. So, based on history, it's clear that the Bulls should try to trade #7 to the Clips for #12 & #13, but hang on to #22 because that's where our next All-Star is coming from. Sam: Now that is interesting. Could Chandler Hutchison really be Paul George? No one thought that much of George at the draft. He was projected at the edge of the lottery, 12 through 14, in the mock drafts for him. I assume the Bulls are trying to trade up because, well, the NBA is about elite talent. Everyone is aiming at No. 4 with Memphis and that salary dump of Parsons. Again, Grizzlies ownership talked about returning to competing, which would argue against dumping salary for less talent. But, again, since they are going to be bad, may as well save the money. The larger question is there someone there at 4—I do think with 7 and 22 and taking Parsons you could persuade the Grizzlies to move down—that is so much better that it's worth it? The latest speculation is Slovenian Luka Doncic will fall to 4th. Worth the move? Or about your half serious (quarter serious?) suggestion of taking 12 and 13 and also having 22? Could you get Knox and Sexton there? Probably not. More like Miles Bridges, Lonnie Walker, Robert Williams and Shai Gilgeous-Alexander. No deal. Who Should the Bulls pick with 7?